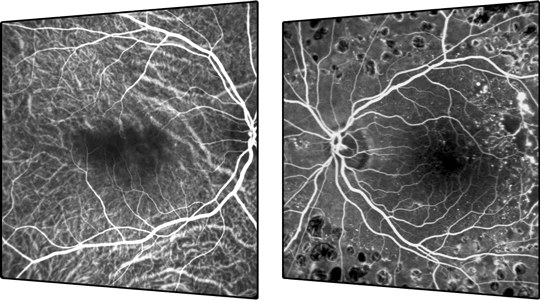 SPECTRALIS®scanning laser angiography can be conducted with either fluorescein or ICG dye. Both modes produce detailed, high-resolution images and video sequences that show vessel filling, flow, and leakage. For workflow efficiency and diagnostic precision, FA and ICGA can be acquired simultaneously and in combination with OCT imaging.